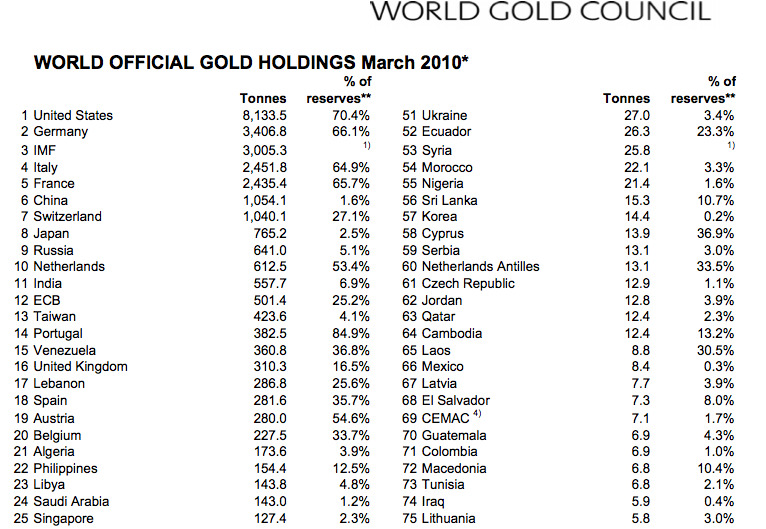 The latest March 2010 World Gold Council data serves as a nice reminder of where the gold is. 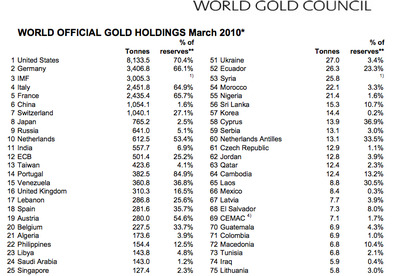 Note how tiny gold is as a percentage of Chinese foreign reserves. If paper money is meaningless, then the U.S. is king.